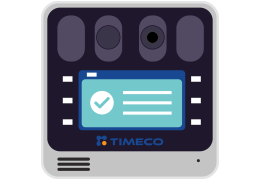 TIMECO implements and supports software that allows small to large organizations deploy and manage their workforces for optimal profitability. 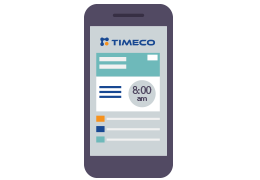 TIMECO’s industry-focused solutions automate workforce management processes including scheduling, time and labor management, and workforce analytics. 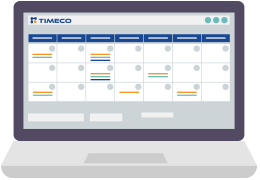 With TIMECO’s web-based software, your company can ensure that the right people with the right skills do the right jobs at the right time, at the lowest possible cost. 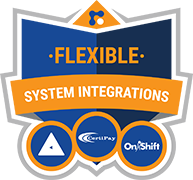 With integration to Payroll and HR systems, proven implementation and ongoing support, we will be with you for the long term. Configure your dashboard to the features and functionality that suits your needs. We exist to give you control and track your data the way you want to. With systems that adapt to your mobile workforce, you can keep connected to your teams and ensure accurate recordings. 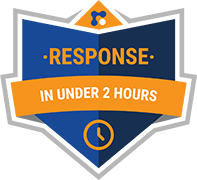 We offer the best-in-class time clocks that increase accuracy and make payroll and timekeeping easy. Contact our team today to find out how. 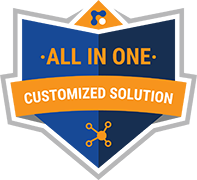 With up to 16 fully-configurable components, viewing data has never been more convenient. Balancing the schedule of an entire staff can take your day. Win your day back and take control with our easy-to-use solution. Make corrections to missing time punches and conveniently check data for all your people. Your people can punch in or check schedules. You can make comments and view changes, all from your smartphone. Life happens, but we make it easy for employees to request vacations or call out sick. From keeping tabs on your fleet to stopping fraud in its tracks, our geofencing is always effective.